Sergeant Oil & Gas Co is no stranger to innovation in the aviation industry, and there is perhaps no type of innovation that gets our attention more than improvements in aircraft fuel efficiency. Besides the ever increasing concern for creating a more environmentally friendly world, it’s always fiscally beneficial to airlines to make their aircraft more fuel and energy efficient. That technology has been making great strides through a number of different mediums in recent history. We’ve put together a list of some of the most interesting developments to keep an eye on. Before long, aircraft may be able to benefit from one of the longstanding methods that has helped improve car fuel efficiency: gear shifting. While small, private jets have used gears in the past, they are relatively new to the turbofan engines of commercial airliners. It has taken a lot of work to refine a gearbox for use in the huge engines. Right now they weigh in at 250 pounds and 18 inches, and have been demonstrated to reduce fuel use by up to 16 percent. One sure fire way to boost engine efficiency is to create hotter combustion in the engines. This is easy enough to do, but more difficult is finding materials that can withstand that kind of heat. One promising solution is ceramics. By replacing certain parts of the engine with ceramic coated, or fully ceramic parts will allow the engine to withstand much higher temperatures, and safely burn fuel hotter and more efficiently. Another great method for improving fuel efficiency is improving the aerodynamic profile of the aircraft. There are a number of such designs that have been in use for years for smaller aircraft, such as the iconic B-2 stealth bomber. Adapting the design for commercial craft is a challenge, but a worthwhile one, as it is estimated that a flying wing, or blended wing design would benefit from up to a 50 percent increase in efficiency. 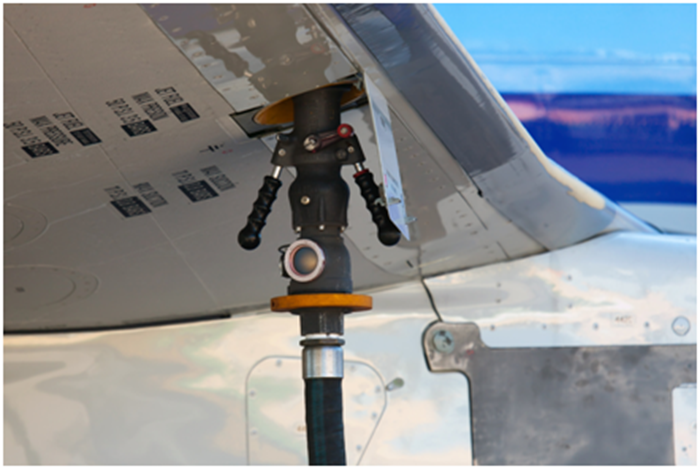 With as many research efforts as are active today, fuel efficiency on aircrafts is going to experience continued improvement in the years to come, which may lead us to flying on completely different kinds of planes!All along the way, you can count on your Sergeant Oil and Gas Co. team to keep you fueled.Contact us today to learn more. This article was published on Thursday 01 March, 2018.